Now that summer gear has been stowed away, it's time to focus on fall home improvement projects. According to Vicki Payne, host of the For Your Home with Vicki Payne television show, autumn is the key time to evaluate your home exterior and prepare it for the harsh winter months ahead. Tip #1 – Evaluate your roof. Look for missing or loose shingles, deterioration of asphalt shingles along with mold, algae or splitting of real wood shingles. If the roof is in poor shape, consider upgrading to a synthetic roof, like those from DaVinci Roofscapes®. The composite shake and slate products resist fire, impact, high winds, insects and mold, making them an ideal long-term investment for a home. Tip #2 – Clean your gutters. 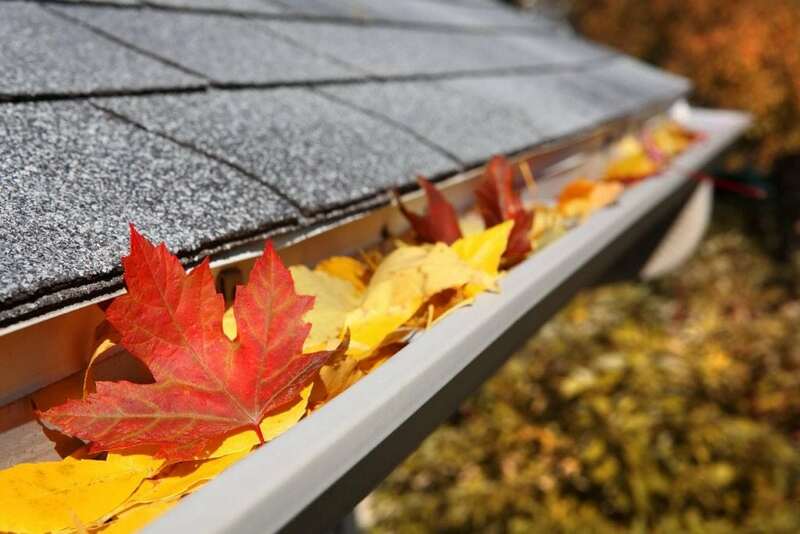 Get leaves and gunk out now so that gutters won't get backed up, clogged and frozen in the winter, causing ice formations. Gutters should be securely attached to the home and sloped for proper drainage. Also check to make sure all downspouts are clean and connected. Tip #3 – Check your siding and trim. Make sure there are no rotting boards or insect infestations in any wood exterior products. Determine if a new paint job is needed before the winter weather hits. Should these items need replacement, research man-made low-maintenance products, like James Hardie® fiber cement siding or Ply Gem® PVC trim as reliable replacement options for key exterior parts of the home. Tip #4 – Evaluate the deck. If your deck has seen its last summer party, look at replacing it before the winter with either a Western Red Cedar deck or composite decking from TAMKO®. Both products stand up extremely well to all types of weather and will make you happy to step out onto the deck every time. Tip #5 – Check the functionality of your garage door. You're in and out of your garage door many times each day. Make sure it's functioning properly and has strong air infiltration seals to help keep energy bills down. If you're ready for a new look or a harder-working garage door, consider the steel and aluminum options from Haas Door. Tip #6 – Seal up the windows. Make sure your windows have strong weather-stripping in place with energy-efficient glass that is still working. If it's time to upgrade your windows, investigate those with ENERGY STAR® ratings to help keep your home warmer during the winter months. Tip #7 – Consider a privacy window upgrade. Tired of closing blinds or shades to gain privacy in your bathroom or bedroom? Think about replacing key windows with decorative glass or acrylic block privacy windows. Available from Hy-Lite in both operable and fixed styles, these windows add a beautiful accent to a room while protecting your privacy. Tip #8 – Check out your doors. As with windows, your entry doors should have weather stripping that's not worn out around the entire opening. This helps keep drafty cold air out of your house during winter months. Tip #9 – Secure or replace railings. Loose or unstable railing systems can be dangerous. Check all balusters, handrails and elements of front and back rail systems to assure they're functioning properly. If it's time for a replacement, consider a new look by adding cable rails or glass balustrades from Fortress Railing Products. Tip #10 – Spend time with your landscaping. Once the leaves have fallen, get out the rakes. Remove dead leaves and underbrush around the house and garden area before the snow falls. Re-mulch key landscaping areas. Trim back trees and bushes away from the house to get your home ready for winter snows.